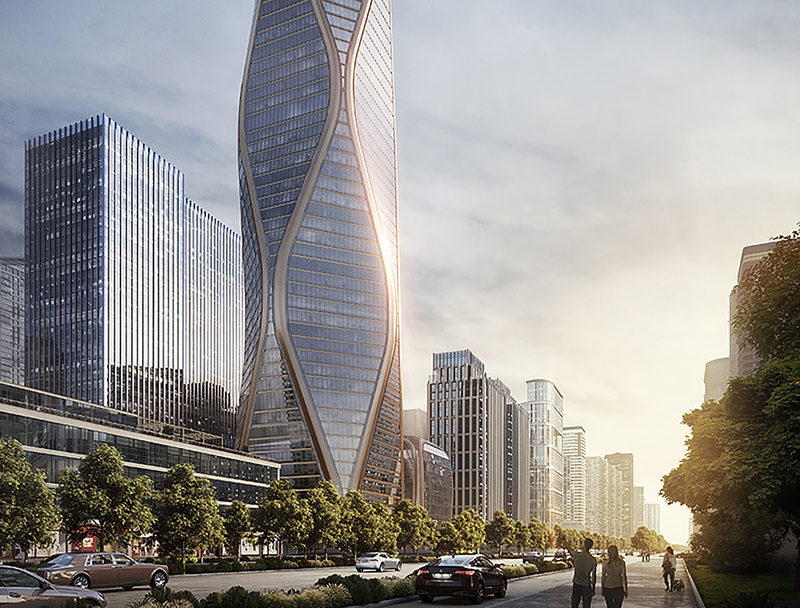 SOM recently just unveiled the first images of a spiraling mixed-use tower planned for China. The Hangzhou Wangchao Center features an undulating glass façade and eight mega-columns that slope outward at the corners. 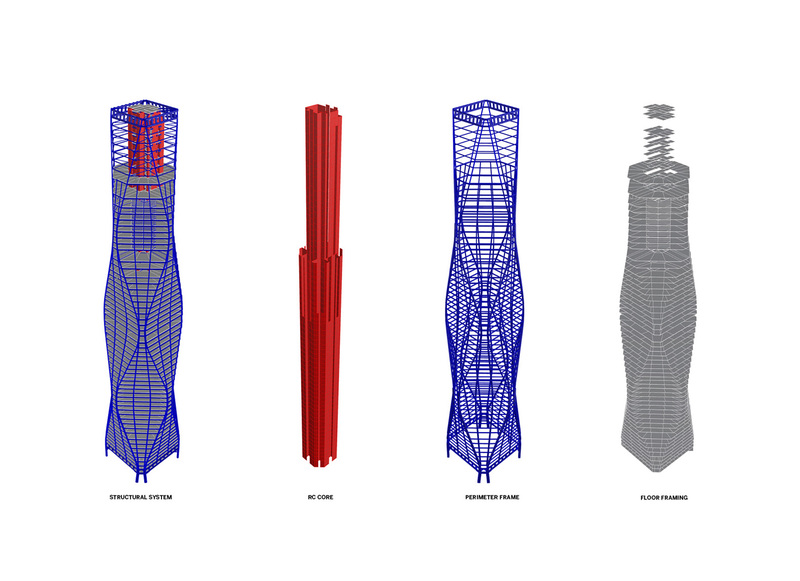 This design helps to minimize wind loads and optimize the center’s performance and efficiency. 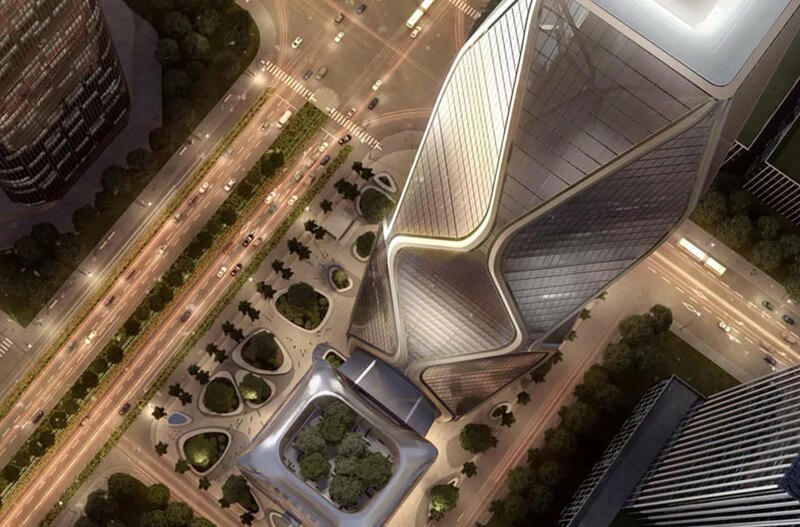 The Center will offer hotel, office and retail spaces in the heart of Hangzhou. 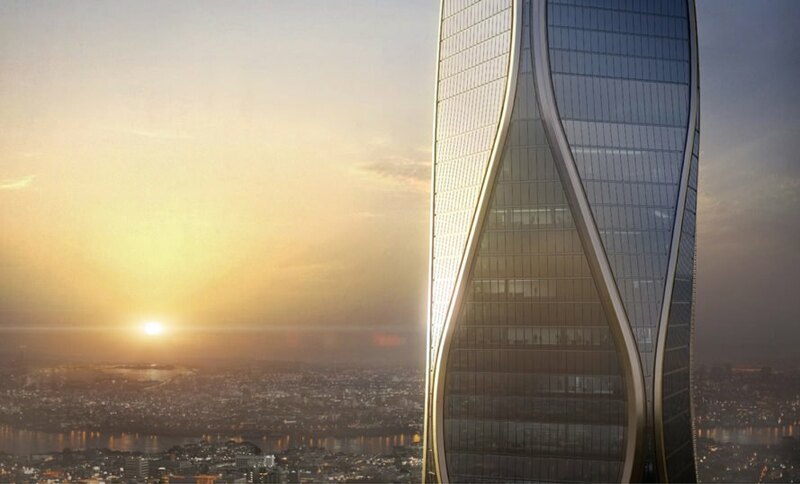 As a result of an integrated architectural and engineering strategy, the tower’s distinct silhouette minimizes wind loads and creates flexible floor plates. In addition to the large sloping corner columns, architects designed secondary columns that branch out in order to keep the column bays equal. A Vierendeel transfer truss above the lobby serves as the connection between the outer and inner columns. This structure allows for the use of planar glass panels as cladding material. Images of SOM’s new mixed-use tower in China display innovative design as the result of structural, programmatic and environmental strategies. 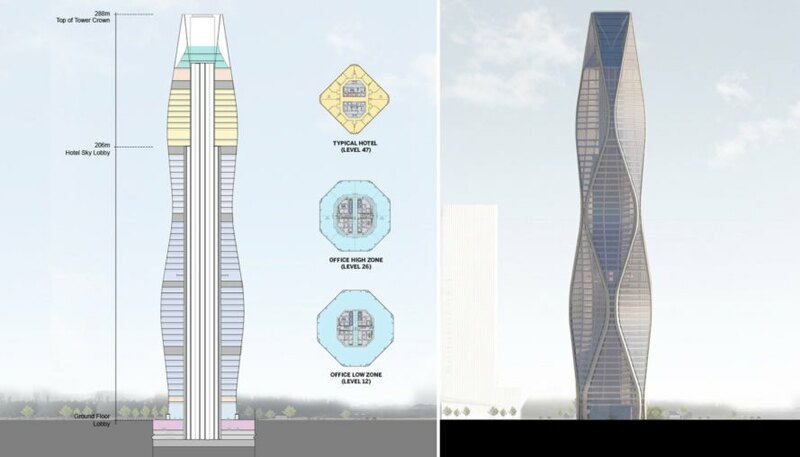 The structure features a distinctive silhouette with an undulating glass façade and eight mega-columns that slope outward at the corners. The tower's innovative design is a result of an integrated architectural and engineering strategy. The eight columns slope outward in order to minimize wind load and create flexible floor plates. Located in the heart of Hangzhao, the tower will provide plenty of space for office, hotel and retail purposes. A Vierendeel transfer truss above the lobby connects the secondary columns to the corner columns. The innovative structure allowed the designers to use planar glass panels as cladding material. 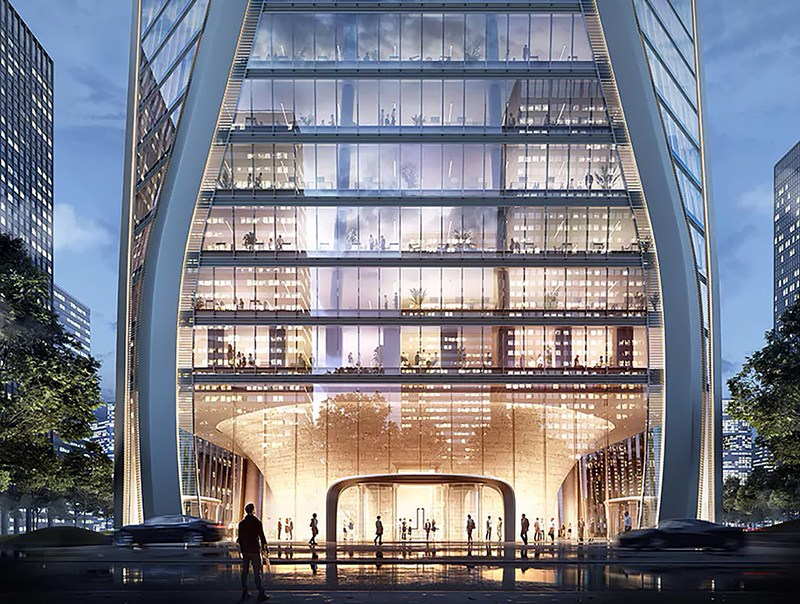 According to SOM, this innovative tower "is a beacon of performance-driven design and is emblematic of Hangzhou’s future as a new global destination."